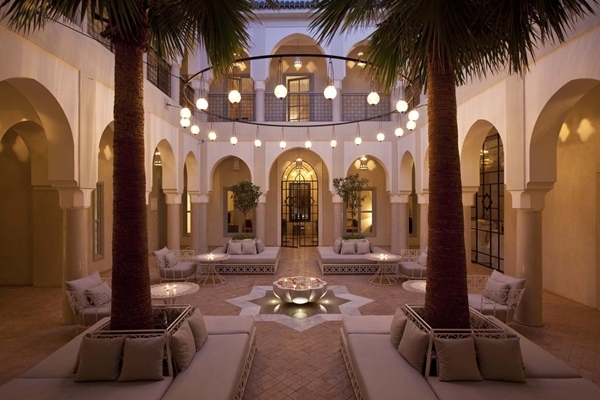 Riad Nashira & SPA is a boutique property that is recently built meaning the space is lighter and airier than some of the smaller riads in Marrakesh. 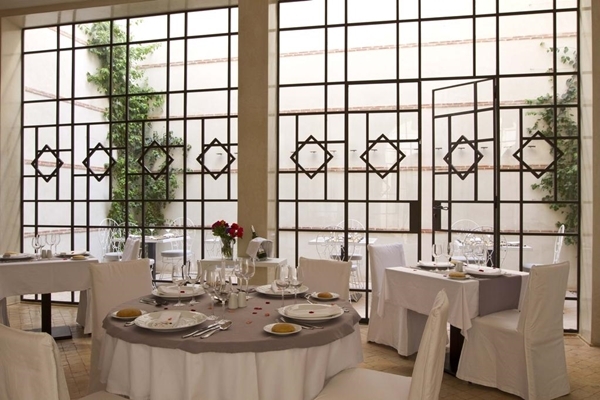 The rooms are spacious and luxurious, there is an indoor and outdoor pool and the restaurant offers fine cuisine served on the terrace or in the elegant dining room. 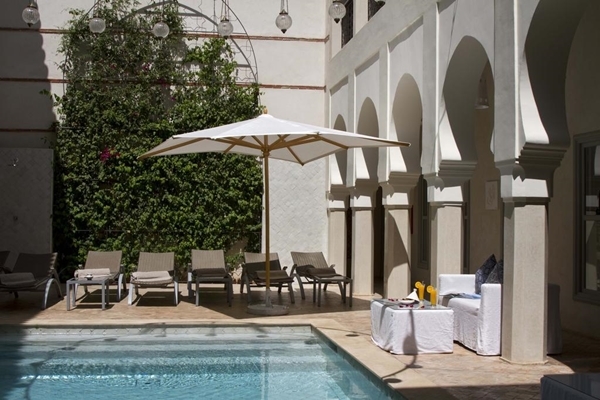 The riad itself has 16 rooms that are located around two interior patios. There are two comfort rooms which are the smallest in the property and are located on the first floor overlooking the main patio. Each one has a small lounge corner. Nine superior rooms are located over the ground and first floors which can accommodate a third person on a sofabed. The four suites have private terraces and the Suite Deluxe has a separate living area making it great for families or those who want some extra space. All come with air-con, mini-bar, hair dryer, safe, satellite TV and DVD player. The location of the riad is in the northern part of the medina, just 10 minutes from the main square of Djemma el Fna and 5 minutes from the Ben Yousef Madrasa. It also benefits from a car being able to drop you off close to the property itself. 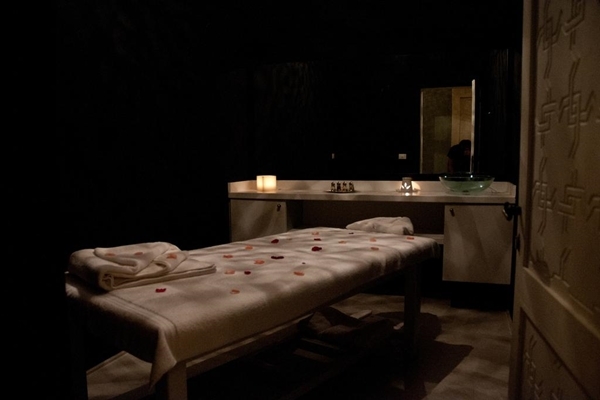 A true highlight of the property is the SPA centre which offers a full list of treatments, indoor swimming pool, massage tables, jacuzzi and a hammam. 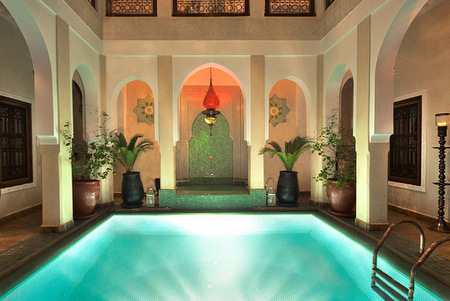 The beauty products are all from Marrakesh itself and are natural. 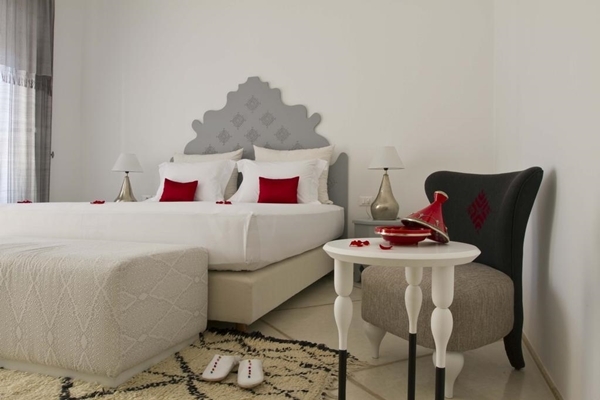 This property really is perfect for those looking for a little bit of pampering and luxury for their stay in Marrakesh. 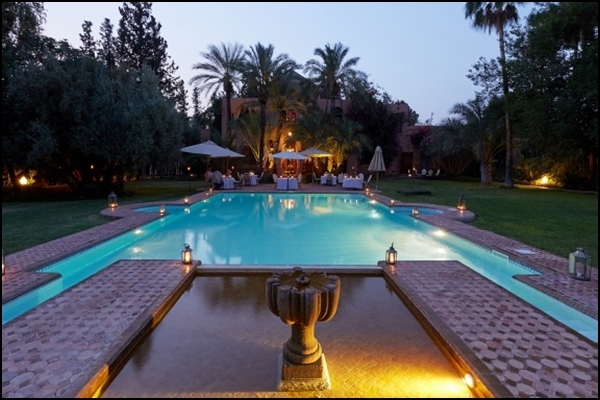 Villa Dinari is a spacious 11 bedroomed villa just a short distance outside the Marrakech medina with wonderful views of the Atlas Mountains. 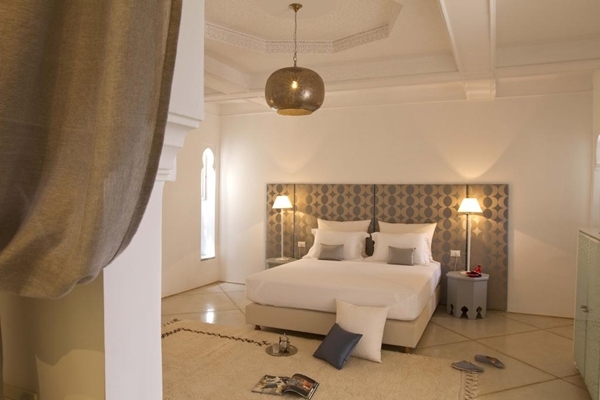 Riad Hikaya is a wonderful boutique guesthouse in the medina of Marrakech. It has 8 bedrooms,a heated pool and a rooftop terrace with jacuzzi. 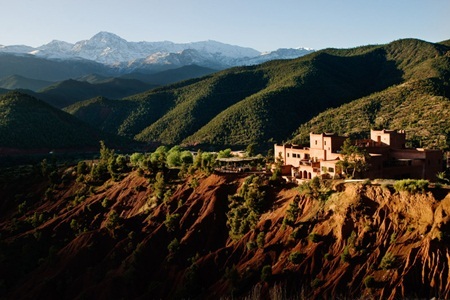 Bought by Richard Branson in 1998, during one of his famous ballooning expeditions, Kasbah Tamadot is a magical walled building located near the village of Asni in Morocco's High Atlas region.